Since I avoid looking at the back cover blurb for this section, when I looked at the cover, I thought it to be nothing more than just another 5 point someone. A light fiction based at an engineering college. Little did I know the pages inside would take me down the memory lane. Being an engineer, like most of his friends, papa too secretly wished to see his daughter follow his footsteps. While I was never pressurised to follow a particular field of study, when I look back and reflect, I realise the conditioned affinity towards science stream was hinted at fulfilling this dream. I on the other hand, had harboured a different set of dreams altogether and engineering came nowhere close. Finally, when the IIT JEE forms were out, my parents were shocked at my decision not to appear for the exam. Despite several futile attempts, papa finally applied for me to appear for the Delhi College Of Engineering entrance test, hoping for a miracle. But so crystal clear was I in my mind that I knew the outcome of the exam even before entering the examination hall! Years later when I read this wonderful and unique book from Prabhu, I knew what would have happened to me had I not put my foot down that day. The book made all the more sense to me, due to the recent Board exam results and many instances of Kota suicides. No matter how much relevance career counselling and child psychology is given, for majority of Indian parents, their child's career is a way to fulfilment of their own ambitions. Prabhu's book gives the perspective of a child who has been mercilessly burdened under his parents' ambitions. I loved book for its raw honesty. One gets a flavour of rebellion from the first page itself, where the author thanks his parents, teachers and relatives for messing up his life by making him study engineering. "Engineering padicha nalla future" (If you study engineering, you will have a good future) is an emotion parents echo unanimously across the length and breadth of the country. Just the language changes. The mentality remains same, to brainwash kids into pursuing engineering which is is considered the gateway to money and success, atleast amongst majority of parents. Nostalgia surrounds us as we set out to witness the arduous journey of the child who couldn't say No to his parents' pushy demands. Prabhu beautifully captures each stage of the journey, right from the time of choosing stream after class 10th, to the choice of college, and the readers are more than happy to go with the flow. We go "me too" when he talks about the parents' favouritism for the science stream; feel angry for students who waste engineering seat when they are cut out to be future sportsmen/women or harbour dreams of a premier school MBA; smile at the efforts on reading the well curated list of engineering students who went on to become future authors, musicians, actors, even politicians. While taking us through his journey, the author questions the norms at each stage, a must read for parents and teachers since more often than not, they are the decision makers of a child's future and not the child himself. 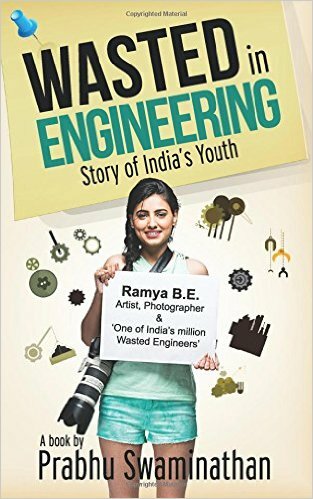 The book is a must read for all engineering aspirants, for it gives a sneak peak into the hype behind the BE degree - the flaws in college rules, coping up with engineering syllabus etc. But if you are thinking its just a prospectus about general life at engineering colleges, you are gravely mistaken. For, the second half is all about remedial actions - What to do if you are already stuck with a course that isn't of your choice? How to cope up and still chase your dreams without denting your parents' aspirations? There is problem, symptoms and remedy too! The final sections are a must read for all parents and teachers for the author talks about the changes required in educations system, from the perspective of a student, the one who ACTUALLY studies the course and whose life is shaped by the choice of career. In case you are a student all inspired to ditch the degree for your passions, the author is ready with his experience giving the real not so rosy picture. There are also case studies of famous and not so famous people who didn't let engineering eclipse their long term dreams in life. At many instances, the narrative sounded so much like Rancho (Amir Khan's character in the movie 3 idiots). One feels like having a conversation with the author and nodding in affirmation after every chapter. This book is a must read for all engineering aspirants, for it shows both sides of the coin, covering all aspects of the life of an engineering student. If you are already stuck with engineering, there are ways to cope up and make the most out of what is left. The last few pages begin to smell of preachiness. But then, students reading the book need it, don't they? Prabhu studied electrical engineering in one of the leading engineering colleges in his state but like many of you he never pursued a career in engineering. He ran a news analysis website for few years earlier while working for a technology consulting firm. He took part in the Jagriti Yatra, during his college days and now he works for a national auditing organisation in a financial position. His first job, however, was at a bookstore where he worked to pay for his arrear re-evaluation and to read books for free. He also holds a diploma in journalism and this is Prabhu's first book. He lives in Chennai. Mr. Hubby is a father now. With the status upgrade has come a lot of change and I am relishing every bit of it. I am getting to see the soft side of the tough guy I have know for seven years. Earlier, it was me who was the delicate darling, acknowledging every small hit, fall and collision with the furniture with ouch and a crying face; while Mr. Hubby would ask me to be careful, then frown and ask if I hurt myself. No coochy coochy sympathies. Just practical solutions. One instance can change your life. For men, it is fatherhood that brings a big change in them. The same tough guy now can't even tolerate the slightest discomfort to his cub. This morning, when little S was playing on the floor, he rolled over and banged his head against the floor. It wasn't as big an issue as the decibel levels made it sound. 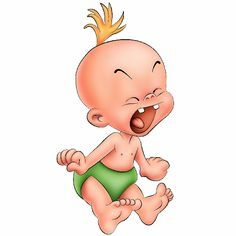 However, what surprised me was the protective daddy dearest dashing to hold his cub and going "ohhhhhh..awww..my babyyyy" My repeated reminders that it was a small hit fell on deaf ears as Mr. Hubby asserted I get the ice pack. "But we should be brave and make the baby rough and tough" I said and was immediately told "But he is so delicate". By this time the li'l one too realised that I was being the roadblock in his pampering and his howls became louder. The practical mom had lost the morning battle against the father-son bonding. However, she was enjoying witnessing every bit of it! With my inbox flooding with father's day offers, I too got motivated to make Father's Day special. But, with a serious practical types hubby and a 1 year old, I hardly had options. One thing I was very sure of. I wanted to gift something which the li'l one was a part of, which meant no fancy gifts money can buy. And I didn't have to struggle for ideas. While both Mr. Hubby and I had been eager to hear little S say mumma and papa, the li'l one proved to be a mamma's boy, as he said "Ammaaa". Yes, Amma. Do you expect a one year old to pronounce mom? Well, I don't. So, Ammaaaa these days is the most melodious music to my ears. Not to miss that he is officially declared as my carbon copy! Unlike most couples who make the first word a prestige issue, both of us were very cool with it. Each time little S goes "Ammaaaaa", Mr. Hubby too starts teasing me as Amma and I go all blushing. Though he never says, I know how good Mr. Hubby would feel upon hearing "pa-pa"! And I had an idea. What if the li'l one says "Papa" by this Father's Day? Wow! This would be the best Father's Day gift! The problem with being an ex-corporate trainer is, that you can think you can even train a horse to dance, or atleast you may try. After all, as per me, the law of repetition could do anything! So since last week, whenever little S and I would be alone, I would go "Pa-Pa, Papapapapapapapa" and look at my son's face in anticipation, waiting for a miracle. Instead all I would hear from him would be a burst of laughter. However, the little one was in no mood to budge. The video had the same effect. When I told my mom in law, she said "How can you train the kids of 4G generation, who do everything their way? Even the kid is finding your attempts silly and laughing on them"
Never underestimate the power of father son bonding! Yes, this afternoon, I realised I didn't have to use my brain so much. In fact, I think I should just be the mom and let the father son be. Did the father get a Father's Day gift? Of course, he did, albeit my son's way - Precious moments of bonding as the father son duo hugged and enjoyed their afternoon siesta together! An old Almirah sits in a room, as if holding some secret. Its lone companion is a classic radio, who perhaps knows the secret but is forbidden to reveal it. Since I knew the story was based in Dalhousie, the hills on the cover were no surprise. The cover gave me an impression of something very mysterious inside, which I could only discover by reading ahead. False Ceilings is not just a story, it is a saga of a curse passed from generation to generation. The story begins with an eccentric Aaryan pondering over the If-Else statement and drawing parallels with life. Thereafter, we set on a roller coaster ride with each chapter introducing a new character and its miseries. From the 1920's the story suddenly changes gears and brings us to the 2060's. But we are so lost keeping up with the overload of new characters that the shift between centuries is the last thing bothering us. Most of the story revolves around Shakuntala, with whom the mystery begins its torturous game. Of all the characters in the book, Shakuntala has had the most eventful life, that shows her the best and worst of everything and gives a message that nothing is permanent - be it affluence or misery. Born to wealthy parents in Dalhousie, Shakuntala has everything but love. Her grandmother dreams of a male grandchild and her mother burdened by the pressure of producing a male child, always sees Shakuntala as a source of her misery. The only solace in Shakuntala's life is her father's unbounded love, which too is short-lived as the curse engulfs him. Trying to gather her life and move on, Shakuntala discovers true love in Manohar (Manu). Dressed as a bride, as she is about to begin her new journey, the curse presents itself to her, wrapped in a yellow cloth. While she decides to leave the past behind her, she is oblivious to the fact that she has already packed the curse with her, which is going to travel with her all through her life and even affect her descendants. Ironically, Shakuntala ends up becoming like her grandmother who was the main culprit behind her family's doom. The curse, which could have been a cure to the miseries of many characters passes many hands. Its power is such that no character is able to survive the revelation, leaving the readers guessing about the mystery wrapped in the yellow cloth. Aaryan is most disturbed character, next to Shakuntala. A childhood painted by unpleasant memories of 1984 riots and constant tension between his parents and grandparents transforms him into an unsocial and a workaholic person, as if trying to burn away his life. His unusual end therefore, does not come as a surprise. There is a strange similarity in the lives of the couples. What seems like the ideal relationship initially gets corroded over a period of time. Generation after generation, we see the same story repeating itself. All that remains after a life and relationship wasted is an Almirah and the secret in its false ceiling, waiting to be passed on. The story is like a Jigsaw puzzle, presenting the readers with the various pieces and towards the end, making it all clear. Does the secret finally cease to haunt the family? Does someone break the spell? Grab the book and find the answers. The unique narrative, which is uncommon for a debut. The author effortlessly oscillates the story between past and future without losing the grip on the story. Some readers may find the story confusing in the beginning, for the first few chapters introduce characters without explaining the relationships between them. It is only towards the end that the jigsaw is solved and the readers take a sigh of relief. Despite being a debut, the characters are well shaped up and manage to strike a chord with the readers. The book boasts of some amazing descriptions - be it the picturesque Dalhousie or the mad rush of Delhi. While the story takes us through generations, many important historic events too are retold, like the 1984 riots and the 1947 partition. The author's impression of life in 2060's with its well imagined technology is impressive. The narration is so realistic that when the book is over, one feels having traveled through time. While the story is gripping, the overdose of characters in the first few chapters may make many readers lose interest. In order to keep track of the story I kept on drawing a sort of family tree on the last page, which helped me relate the characters. The puzzle is solved only for patient readers in the last few chapters when the relationships between various characters are revealed. Few typos could have been best avoided.